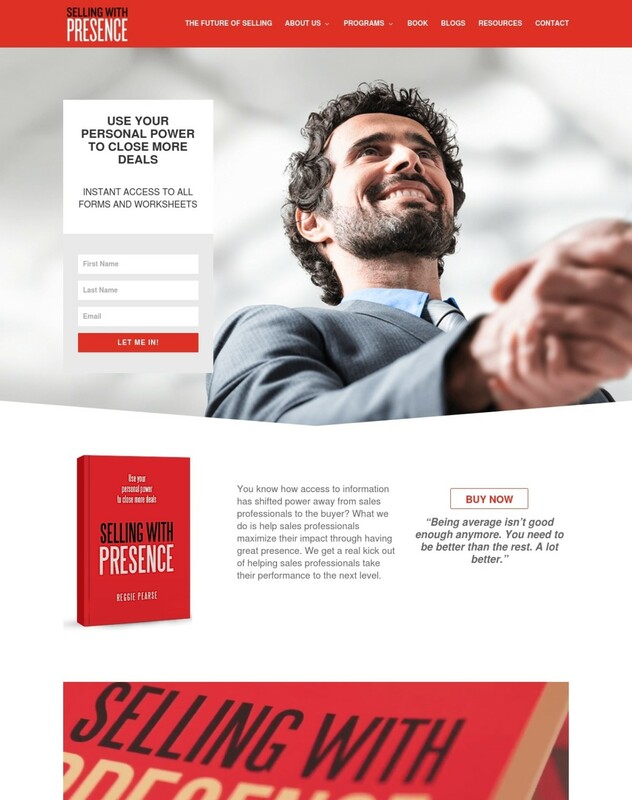 Most recently, Up And Social did a website revamp for SellingWithPresence.com. The goal for this website was to provide a more crisp, modern, and easy-to-navigate experience for website viewers looking to harness their own personal power in selling. 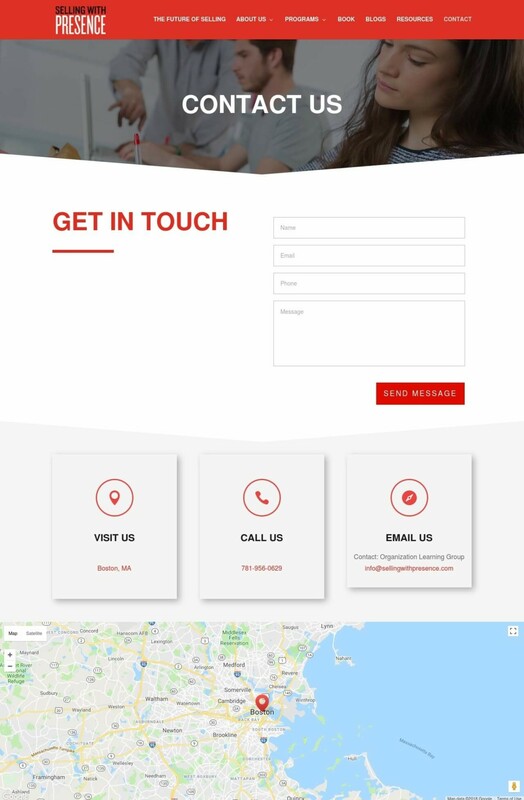 Much like the overall message of their brand, SellingWithPresence.com needed to convey a strong, powerful message of their own when visitors come to their website. The new website presents a dynamic, bold theme that not only enhances their foundational principles but does more heavy lifting within it comes to selling itself. The old website, while delivering the right information, lacked a friendly user experience with untimely popups and confusing navigation. To top it all off, offering business essentials for sales staff can be quite the task. There’s a lot of information and content to offer. The trick is finding the right balance between simplicity and quality. As web designers, our job is multi-fold and displaying content is just one aspect. We have to figure out a way to convey a branding and message, while offering a user-friendly experience and managing to disseminate all needed information at the right time. This was our challenge with the Selling With Purpose brand. We chose to stick with bright, bold colors to convey the simple message of power. It’s classic and as effective as ever. 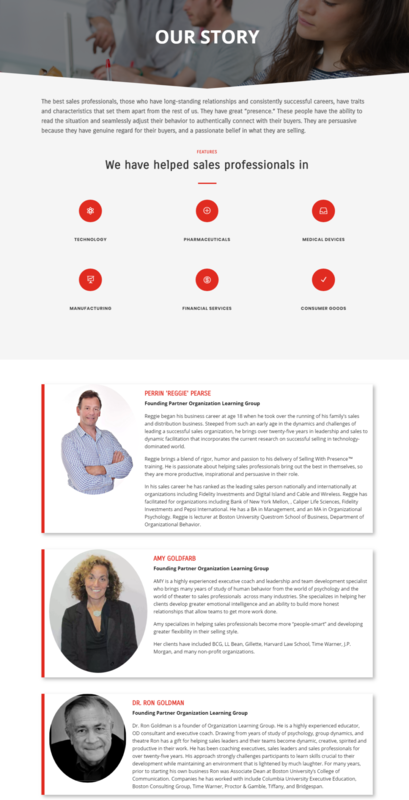 The new site features lead capture on the front page without the use of untimely popups. We used bold pictures and stock imagery that further enhance the idea of leadership and achievement. The navigation menu at the top of the site allows for browsing at the viewer’s pace, while still being prominent to help guide the viewer where he/she wants to go. And finally, the entire site is mobile responsive. At Up And Social, we take pride in making sure our client’s vision comes to life. Our expertise in digital marketing paired with a deep understanding of your business ensures a successful end product. Contact us today to learn more!